Blue Heaven Long Wear Lip Color is conditioning moisturizing lip color. Gives rich & creamy feel to the lips. Provides long lasting intense color without touch-ups. Contains nourishing emollients, Smooth texture. High gloss, Long stay, with Sunscreen, High coverage and elegantly fragranced. Cool and vibrant shades.Presence of vitamins to protect your lips from dryness. Explore the entire range of Liquid Lipstick available on Nykaa. 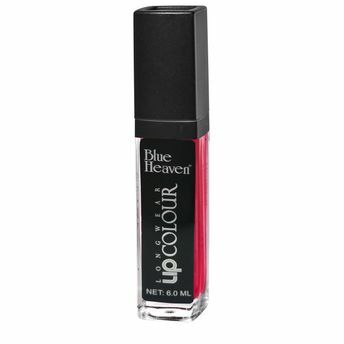 Shop more Blue Heaven products here.You can browse through the complete world of Blue Heaven Liquid Lipstick .Alternatively, you can also find many more products from the Blue Heaven Long Wear Lip Color range.